Memorial Day — an American holiday known for BBQs and beers; a day followed by a watershed of all things warm and fun that mark the coming of an inevitable summer peppered with graduations, Father’s Day, the 4th of July, and some birthdays in-between, the occasional wedding and/or baby shower. Technically it’s a United States federal holiday dedicated to remembering the fallen men and women whom have served in the armed forces. My family — my mother and her parents — were always vigilant when it came to putting flags out in front of their respective homes. They did it with regularity, with dedication, with respect. As I walk down the street in my current neighborhood, a hundred or so miles from my hometown, I don’t see any flags flying in front of the homes that are so close together they touch. In fact, I don’t even see any flag brackets and this bothers me. But I can’t decide what’s worse: that there aren’t any flag brackets or that, even if there were, there might not be any flags placed inside of them. Click the page 2 button below to read more. After my first or second year of college, I took an internship at Starcross — a small monastic community in Northern California dedicated to “living a good and simple life.” But I know that their work and impact is much greater than that. In the mid-1980’s, as the AIDS pandemic garnered world-wide attention, the people of Starcross — of which there are only three — began to dedicate time and resources to helping those suffering from the disease. They took in, and cared for, adults and children alike to help them through all stages of their illness. Since then, they have also responded to calls for help overseas. In 1991, they opened Casa Speranta in Romania — removing sick babies from metal cribs where they were treated with cold callousness and placing them in a home where they were treated with love and care. In 1996 they began work to help children affected by AIDS in Uganda — children orphaned because their parents had died from the disease, they suffered from it themselves, or their extended family simply could no longer care for them. Starcross founded Starcross Kin Worldwide to sponsor children and opened House of Hope in Kampala. The House of Hope isn’t simply an orphanage, but a place for children to grow healthy and learn. There are many ways to help Starcross continue their good works. One way is to simply donate to them directly. The other way is to purchase a holiday gift for yourself or a loved one. 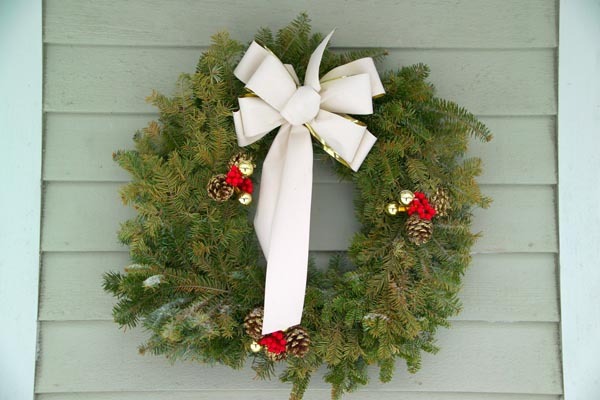 You can purchase handmade wreaths, sun-dried fruit trays made with fruit from their garden, books, award-winning olive oil, or a combination of items. You will not be disappointed! You can buy the wreaths, fruit trays, and combo items here. You can purchase the books here, and their olive oil here. Thank you to freefoto.com for making the image available for reuse.